Talk about You Tuesdays! What a great idea. Love Q and A’s! So telling and a quick way to connect to others. Will be sure to check out next week! 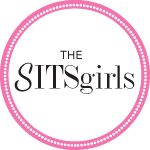 What a great site…came over from the blog frog and SITSterhood…hahaha Looks great and like you’re having fun. Awesome!! What a creative idea to have Tuesday’s Let’s Talk about You! I am a new visitor, another SITS gal, love the title of your blog, have to deal with chronic illness as well, so am looking forward to read your blog. Like you, I too need to learn to live in the present. Thanks for visiting & for your kind words of encouragement! I’ll have to check out Hope Floats. I haven’t heard of it, but I’m in the mood for a good movie! Yay! I’m going to be adding talk about you Tues on my blogging calendar! Can’t wait to do it this week!